Charleston's nickname, the "Holy City," is a symbol of the city's religious diversity and tolerance. Founded by the English in 1670, subsequent settlers included French, Irish, Germans, and others, who brought with them a variety of religious faiths including Episcopalian, Hugenot, Protestantism, Judaism, and Catholicism. On Wednesday, the Holy City was marred by an act of unspeakable hatred and evil. Nine worshipers at Emanuel African Methodist Episcopal Church were murdered as they held a bible study. Among those killed was the church's pastor, Reverend Clementa Pinckney, who was also a South Carolina state senator. Police quickly arrested Dylann Roof, a 21-year-old white male, as the suspected gunman. As political science professors at the College of Charleston, located just blocks from Emanuel AME, we experienced a complex range of emotions and thoughts. We feel deep sadness for the victims, their families, and friends. We are angry at the suspected gunman for committing such an evil act. And like many, we feel anxiety knowing that mass-shootings can take place anytime, anywhere, even where we live and work. But as social scientists, we also thought about the causes of violence, particularly hate crimes, and can't help but notice the role of political symbols. As you likely know, photos have circulated with the suspected gunman wearing the South African apartheid flag on his jacket, and he also posed for a picture on the hood of his car with a Confederate flag license plate. Needless to say, this imagery, particularly the Confederate flag, has considerable meaning in the South. While debates about whether the Confederate flag is a symbol of heritage or hate continue, the academic research is clear about who supports (and opposes) the flag. Numerous studies have shown that whites, ideological conservatives, racial conservatives, and people with less education show the strongest support for the Confederate flag. One study even found that blacks living in the South were the most offended by the flag, more so than blacks living outside the South. 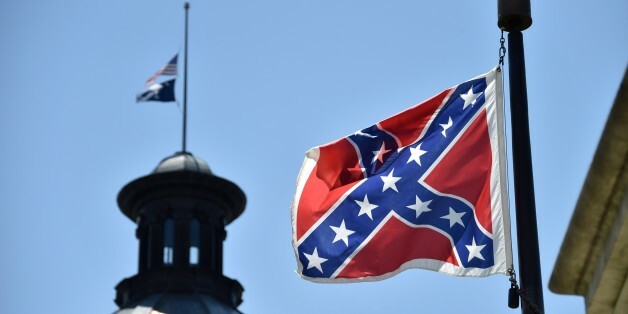 Debates about the Confederate flag continue in our state. The flag flew atop the State House from 1962 to 2000 and the debate over its removal drew national attention. In the end, a compromise was reached and the flag was removed from atop the State House and relocated on the Capitol grounds. Needless to say, that debate is once again garnering national attention in the wake of Wednesday's horrific event. Political symbols are important not only for what they represent, but because they can shape how people form political judgments and make sense of political, social, and economic information. Social scientists have even referred to political symbols a heuristic devices. For example, experimental research has shown that exposure to the Confederate flag can lead to decreased support for black political candidates, including Barack Obama. But, we know much less about whether there is a link between these symbols and acts of political violence. In a study that we find particularly relevant to Wednesday's tragedy, one researcher had subjects watch two fictitious campaign ads. One used violent political metaphors and symbolism (where the candidate promised to "fight" for America's future) and the other used non-violent rhetoric (where the candidate promised to "work hard" for America's future). Respondents were then asked about their level of support for political violence (including, for example, a respondent's belief that political problems can be solved "with a few well-aimed bullets"). According to the results, violent symbolism significantly increased respondents support for political violence. However, this effect was only for those with a predisposition to violence and the effect was strongest among young adults. Needless to say, this certainly seems to fit the alleged gunman, Dylann Roof. As Nathan Kalmoe, the author of this study concluded, "While many metaphors have little chance of real-world embodiment, violent political metaphors raise the threat of literal violence." We should make a few important caveats about this research, however. First, because this study was experimental and gauged support for political violence in the abstract, it is difficult to generalize to real acts of political violence. Second, it's hard to disentangle the complex web of factors that led this individual to commit this heinous act. While Roof allegedly stated "you're taking over our country" (a symbolic albeit hateful statement for sure) it's another thing to know if violent rhetoric caused his murderous rampage. And third, it is important to keep in mind that this study found that most Americans reject political violence as legitimate and that there were no partisan differences in either support for political violence. As our community moves forward, it is imperative that we address these polarizing political symbols, particularly the Confederate flag, and the role they play in political violence. While the flag represents heritage and southern pride to many, it continues to be used as a symbol of hatred and racial supremacy. Gibbs Knotts is professor and department chair of political science at the College of Charleston. 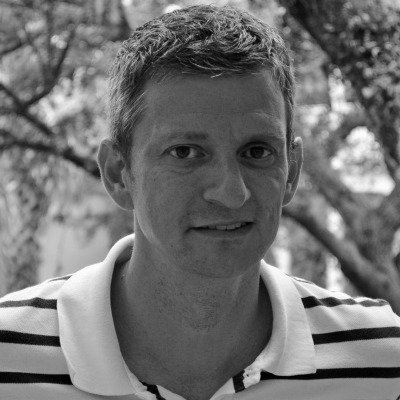 Jordan Ragusa is an assistant professor of political science at the College of Charleston. Professor of Political Science at the College of Charleston. Assistant Professor of Political Science at the College of Charleston.